Great news from President-elect Barack Obama’s family. Rather than seek out a dog from a breeder, they have decided to adopt a puppy from a shelter. Hopefully, his massive popularity and the Obama family’s newfound role model status will inspire others to follow suit when choosing a family pet. There are many deserving dogs in need of homes at your local Humane Society, rescue groups, and the local dog pound. Adopting one of these dogs, rather than buying one from a pet store or breeder, can be one of the most rewarding experiences of your life and his life. 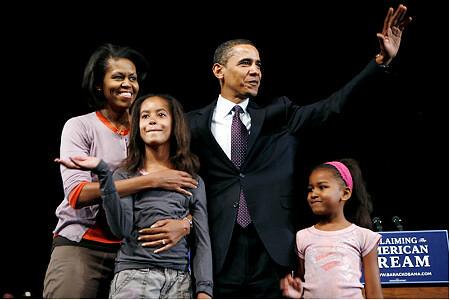 Congratulations to Barack, Michelle, Malia, and Sasha for making a great decision on their newest family member. Let’s hope that many others will follow their responsible example when considering the same situation.